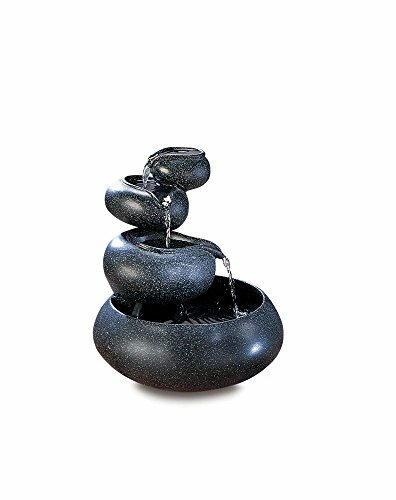 Take home this beautiful four-tier tabletop fountain Four granite-finished tiers cycle sparkling water from bowl to bowl, creating an enthralling meditation piece. With 120v pump. For indoor use only. UL Recognized. Alabastrite. 9 1/2" diameter x 10" high.by Zingz & Thingz. This can complement a variety of decors that other products are limited in. They accent your home or office for the right decor. Zingz & Thingz is the source for unique decorative objects. Decorative accessories for the most vibrant interior design.